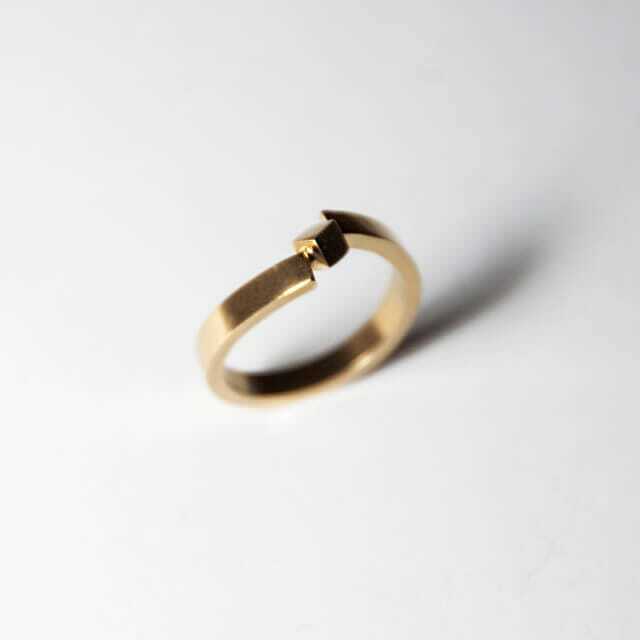 Classic cube ring in a soft warm coat of gold plating. Focusing on a cube as a starting point of design, this ring continues my exploration of using traditional techniques with an innovative approach. Taking inspiration from my large-scale work, this ring embodies the same sense of balance and geometric flow. Sterling silver, 24ct gold plating.